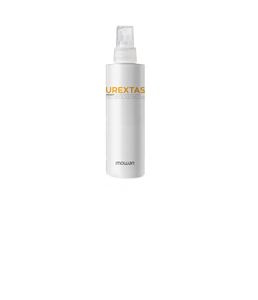 Purextasy Insightis the exceptional post-color line that allows the beauty of color to last longer through time. Thanks to the acidifying action of the active principles present in Purextasy Insight Color guardian shampoo, Purextasy Insight Color guardian conditioner and Purextasy Insight Color guardian spray, hair structure is compacted, exalting the brilliance of its color and protecting it from the weather. BENEFITS: It protects color from washing and extends its duration*. It protects from the weather. Antioxidant action. It conditions and moistens hair, giving it vigour and elasticity. Teak extract is obtained from the wood of Grandis Tectona, a very common tree in the Indian peninsula. This extract contains polyphenols, quinones and betulinic acid: elements renowned for the ability to provide hair with protection from treating and weather effects. Teak extract also keeps colored hair healthy and brilliant, bringing together health and beauty for extraordinary results in the long term. Khaya is a very common plant in North Africa and Madagascar. Its mahogany extract is rich in polyphenols and limonoids, ideal ingredients to protect hair against outside stresses and make color glow and last over time. Mode of use: apply on wet skin and hair by massaging. Rinse and continue the treatment with Insight Color guardian conditioner. Mode of use: apply on skin and hair, moistened by a damp towel. Leave in place for 3 minutes, rinse and continue the treatment with Insight Color guardian spray. Mode of use: vaporise from a distance of 30 cm on dry or wet hair.